Indiana Airguns! - Air Guns and Accessories. e-Shop and dedicated range. 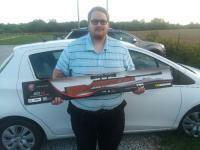 Indiana Airguns LLC is Indiana’s only full service adult airgun shop and Range. Thank you for visiting Indiana Airguns! American Field Target...Another FUN way to use airguns.